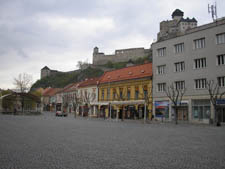 This county town is an important cultural –historical centre of the Trencin region. It belongs among the most interesting Slovakia cities. The city is famous not only by its historical monuments, but also by an Expo Center Trecin. The former Exhibition Ground TMM (the town of fashion) is a place of regular fashion shows, dog exhibitions, Gardener fair, cosmetics and pharmaceutical fairs or health and life style fairs. Trenčín annually celebrates a festival of traditions, traditional folk arts and handicrafts on the Mierové Square. Trencin Castle looming over the city from the castle rock is perfectly visible from the entire city. Entering Trencin city, it is certainly the first thing you will lay your eyes on. With its fortification walls, it is situated right in the city centre. To get there you have to walk up to the end of the Mierové Square towards the SNP Square with traffic lights. A Virgin Mary’s Birth Roman Catholic Church, originally from the fourteenth century, is located on Matúšova Street. It towers on the right side at the end of the Mierové Square. The church was rebuilt in the fifteenth century. A House of the City’s executioner is also situated on Matúšova Street. To enter Trencin Castle you have to cross an area before the main Castle Gate. A bastion, situated on the right, is home to the Castle’s Treasury. Crossing the Gates, you will enter the lower Castle area with a Tower Clock and a Castle’s well. The upper part of the Castle served as residence to many monarchs for long centuries. It consists of Zápoľský’s Palace, Ľudovít’s Palace and Barbora Palace. Palaces are originally Gothic, only Zápoľský’s one has elements characteristic for early Renaissance period. Knight’s hall is considered to be the most beautiful part of Trencin Castle. Going to the city centre, do not miss a walk along the Mierové Square. City Tower, also called Lower City Gate, is located just on its beginning. It is the main city gate connecting Štúrovo and Mierové Squares and it will lead you to the historical downtown. A Black Death Column is looming over a little park spreading in the middle of the Mierové Square. A huge Piarist Church with a monastery is also situated there. A County House, today’s home to the Trencin Museum, is located on the Square’s north-western edge. Both squares serve as city’s pedestrian zone. Due to interesting historical monuments a walk along squares can be not only pleasant experience, but also a nice time spent on shopping in many boutiques and stores; or you can also enjoy relaxing in local cafés and patisseries. Štúrovo Square represents the “more modern” face of the city. 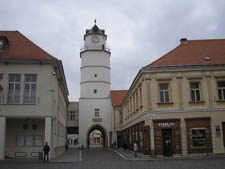 To enter the Square you have to pass the Lower City Gate and continue along Sládkovičova Street. 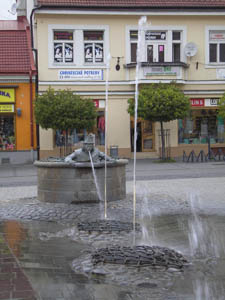 Every visitor’s eye will catch a water sprite sculpture splashing water from a well situated in the middle of the Square. 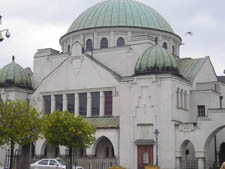 A Jewish Synagogue is located on the Square’s edge. 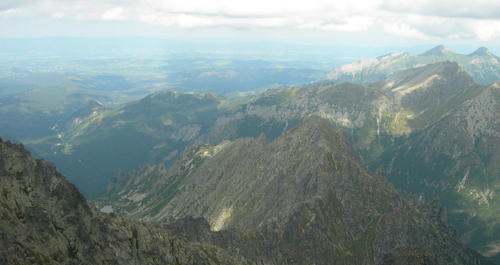 To find the Hotel Tatra you should go up to the end of the Mierové Square and cross the busy SNP Square. 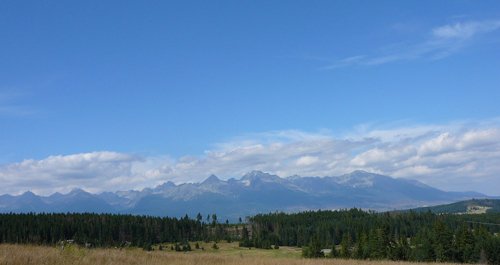 There you will spot Hotel Tatra. Older than one hundred years, it was constructed in Eclectic style with Art Noveau style elements. The Roman inscription from 179 A.D. on today’s rock below the Castle, reminding us of the Marcus Aurelius’ legion victory against a Germanic tribe called Quadi, you can see from the hotel’s mezzanine or when you enter the summer terrace. If you are interested in culture, historical sites, relaxing, having fun or you just want to go shopping, Trencin city is the place you are looking for. 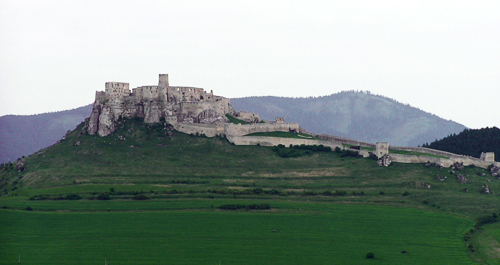 No visit would be complete without seeing Trencin Castle, a real gem among Slovak castles. 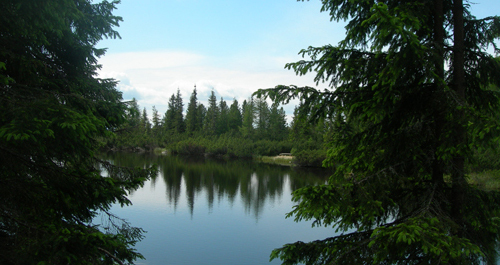 So whether you prefer traditional fairs, historical sites or shopping, you will find something to savour in this Považie region centre. Trencin combines the energy and sophistication of a great historical city with some of Slovakian most spectacular scenery, so we are sure you will leave historical Trencin with only nice memories and contented.